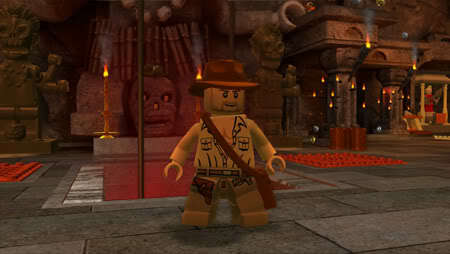 In LEGO Indiana Jones: The Original Adventures the players get to explore the Indiana Jones universe with "LEGO-fied" characters. 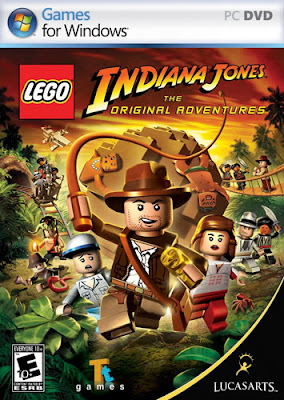 The game focuses on the three original films: Raiders of the Lost Ark, Indiana Jones and the Temple of Doom, and Indiana Jones and the Last Crusade, each film consisting of six separate chapters retelling the stories in a humorous, light-hearted way that tones down the violence while removing some of the more overt religious and political references found in the film. All of the sets and props are also made out of LEGOs, and retain their properties such as the ability to be rebuilt and fall apart. In this third-person platform/action game, players take control over various heroes including Indiana Jones, Marion Ravenwood or Dr. Marcus Brody, and also allows players to play the villains such as Belloq and Mola Ram. 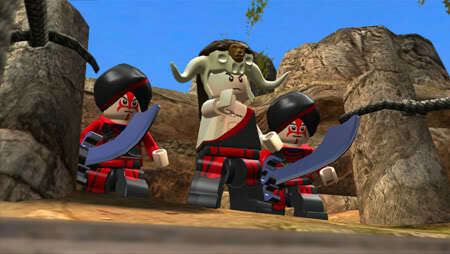 Each character has different abilities and weapons. While Indiana Jones has a whip with which he can pull items out of reach, the female characters can jump higher, scholars can decipher hieroglyphics, mechanics can fix machines and diggers can unearth buried treasure. The characters also have different phobias (snakes, rats, spiders), each corresponding to their personalities. The main campaign of the game is called Story Mode in which the player follows the film's stories with two pre-defined characters and cut-scenes. Once the level has been cleared, however, the player can return in Free Play mode and switch between all the characters that have been unlocked, allowing access to previously unreachable areas to collect all other artifacts and bonus items. 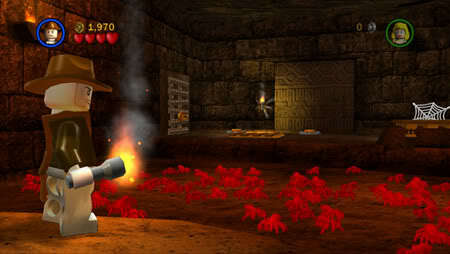 Destroying or building objects produces Lego studs, which allows the player to buy additional characters and cheat modes in Barnett College (the main hub). Players can also watch previous cut-scenes, examine previously found treasures, enter codes, or explore the college at their leisure. As in the LEGO Star Wars series, in addition to the single-player game, there is also a 2 player co-op mode that allows two players to play the Story Mode. The second player can enter the game at any given time by pressing a button on the second controller.